Oil pulling is an Ayurvedic detoxification routine that prescribes a teaspoon of oil is swirled in the mouth for five to twenty minutes. 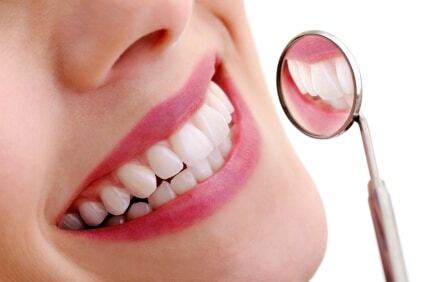 During this period, the oil collects any harmful bacterium that has settled in the mouth. This oil is better spat into a tissue and dispersed of, rather than into a toilet or sink. Many people have confirmed that oil pulling has helped to strengthen their gums, prevented the loss of loose teeth, and whitened the teeth. Protecting the teeth from plaque and tartar requires a vigilant routine. If you floss your teeth religiously, it is likely that your internal mouth is healthy. However, if you are prone to forgetting to brush your teeth, or not flossing regularly, oil pulling can be beneficial at removing old food matter from in between the teeth. It is this food matter that can lead to the build-up of bacteria and support the growth of plaque. Although it does not sound the easiest of detoxification methods, oil pulling will strengthen your teeth and gums by reducing plaque-causing bacteria, make the skin glow from within, and even boost the immune system. Conventional mouthwashes contain harsh ingredients like alcohol. Use a natural method like oil pulling to preserve your oral health whilst whitening your teeth at the same time. 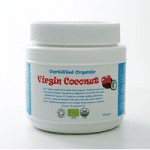 There are two types of coconut oil – copra and Virgin organic coconut oil. Copra coconut oil uses refined coconut oil and synthetic fragrance, but if you want pure natural coconut oil then you’ll want the Virgin organic coconut oil that holds its natural scent. Virgin coconut oil is naturally anti-bacterial, but a recent study by Athlone Institute of Technology in Ireland discovered that coconut oil that was modified with enzymes halted the growth of the bacterium Streptococcus.